Every musician is familiar with the term "the circle of fifths." But music is not geometry, so we do not ordinarily ask ourselves a question, "and how many degrees are there in that circle"? We will never know whether this thought accounts for the twinkle in Hässler's eyes, but it would come as no surprise. Humor abounds in his music, and writing a cycle of 360 preludes, arranged in the order of the Circle of Fifths, was just a small part of it. 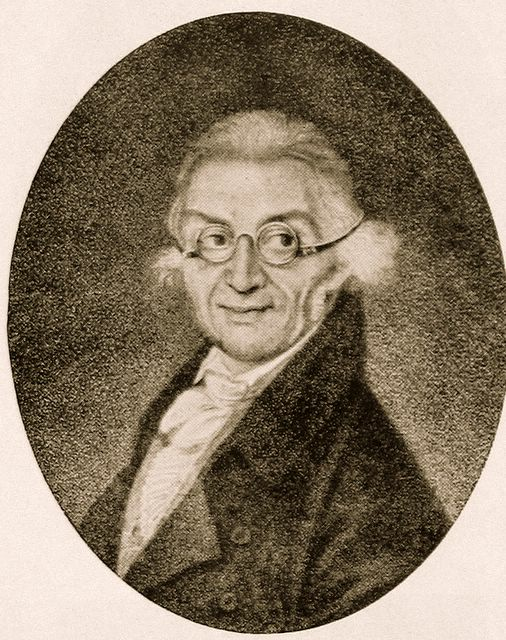 Johann Wilhelm Hässler (1747-1822) was a German composer and a klavier player, perhaps most remembered for his contest with Mozart. Hässler (who was a musical grandson of J.S. Bach, having studied with one of J.S.B's last students, Johann Christian Kittel), preferred clavichord to fortepiano, and, apparently, did not surpass Mozart in organ playing. But then, who would. A typical Mozart put-down came out of that encounter (in a letter of April 16, 1789): "After lunch it was agreed to seek out an organ; we drove there at 4 o'clock; Naumann was there as well.—At this point I should add that a certain Hässler (organist in Erfurt) was there too; —he's a pupil of a pupil of Bach; —his forte is the organ and the clavichord. Now people here think that because I'm from Vienna, I am unfamiliar with this style and way of playing.—So I sat down at the organ and played.—Prince Lichnowsky knows Hässler well, but had some difficulty persuading him to play, —this Hässler´s forte is his foot-work on the organ, which is not such a great skill, since the pedals here are arranged stepwise; also, he has simply memorized the harmony and modulations of old Sebastian Bach and is incapable of playing a proper fugue, and his playing lacks solidity—he's far from being another Albrechtsberger." To put things in context: Albrechtsberger was the greatest contrapunctist of that time, good enough to be sought after as a teacher by Beethoven, so Mozart is being quite nasty here, especially in light of Hässler's apparently genuine fondness of Mozart. Hässler was born in Erfurt, and, after a period of touring Europe (including London, where he collaborated with Haydn), ended up in Russia, first in St. Petersburg, and then—for over a quarter of a century—in Moscow. Apparently, he considered his coming to Moscow as something of a "born again" experience, because his works there begin with Op. 1 for the second time. Or, perhaps, he was just recycling some material for a new market, one cannot be sure. It is from the Moscow period that one of the most astonishing works of Hässler comes—a cycle of 360 preludes in all keys, published in 1817. Its world premiere took place on September 23, 2012, in—naturally—Erfurt (by an American pianist of Russian descent, Dmitry Feofanov). Its American premiere takes place today. 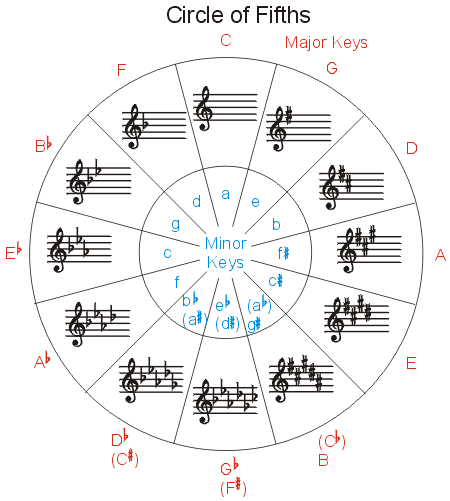 Arranged in the circle of fifths (C major followed by C minor, then G major and minor, etc. ), each set contains fifteen miniature preludes, some lasting as little as three seconds. To call this "the world's largest collection of ringtones" would not be too far off. Nevertheless, because of sheer numbers, the complete cycle runs over 95 minutes, and ends with a sadly profound chorale prelude in F minor (O Traurigkeit, O Herzeleid—"O Darkest Woe," one of the archetypal symbols of German culture, used not only by J.S. Bach but also by Brahms, Liszt, and Reger). It is a tour-de-force showing an amazing control of textures, and not insignificant humor. Stylistically, it ranges from the sentimental style à la C.P.E. Bach to prophetic insights anticipating Schumann. Hässler's chief claim to fame (for reasons unknown) is a very big gigue for piano, not necessarily his best piece. He wrote a substantial number of sonatas, mostly for amateur musicians, and some of these are quite lovely. As evident from the preludes, his style is a curious mixture of backward-looking early classicism interspersed with proto-romantic touches. After his move to Russia, he would occasionally throw in a Russian folk song—either real or fake—into the mix, sometimes with truly incongruous results. The best English-language writing on Hässler was done by Christopher Hogwood (1941-2014), in whose memory this concert is dedicated. "Our Gessler," indeed. Hässler found no champion in his own land, nor in his adopted land. Today I hope to correct this injustice, for he deserves to be heard. Return to the May 17 program page.